Weldmar Hospicecare held its annual volunteers event at the Dorford Centre, Dorchester at the end of April, attended by over 150 volunteers. 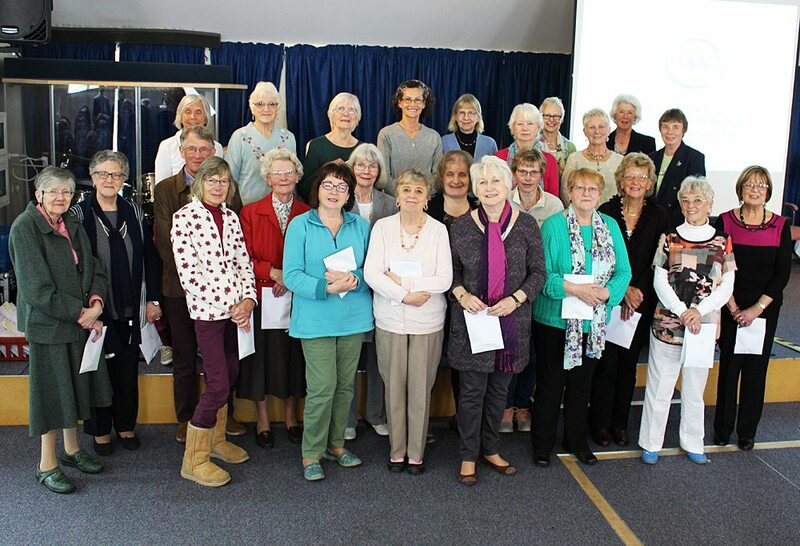 During the event, long service awards were presented to 25 volunteers who were celebrating 5, 10 and 15 years of service by one of Weldmar’s Trustees, Sue Davies. Caroline Munslow, Volunteer Services Adviser at Weldmar said: “Our volunteers are absolutely amazing, and without their continued help we would not be able to make a difference at such an important time in the lives of our patients and their families”. The event was made possible with the support of Dorchester Town Football Stadium and Dorchester Territorial Army Centre – who provided free parking – and Dorset Transport, Dorset County Council who provided a free bus shuttle service. Caroline said: “It was lovely to see so many volunteers enjoying their day, which would not have been possible without the support from local businesses to make it happen”. Weldmar will also be celebrating Volunteers’ Week in the first week of June – including holding a ‘Cream Tea on the Lawn’ at Joseph Weld Hospice in Dorchester on Friday 2nd June between 2.30pm to 4pm to which all are welcome. Caroline said “We’re looking forward to hosting our current volunteers; to be able say thank you to them for all that they do for us in all areas of our work. We would also love to see anyone interested in coming to volunteer with Weldmar, to join us and learn more. There will be the opportunity to see the different volunteer roles on offer, to have taster sessions, to meet our staff and to have guided tours around areas of the hospice”. Photo shows the Weldmar volunteers with their long service awards.